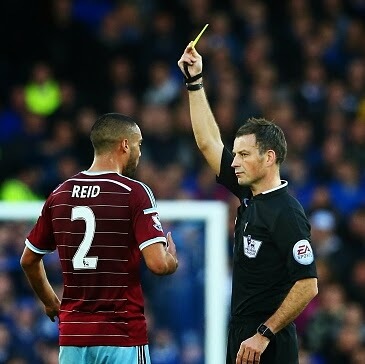 Verywestham: Reid to be dropped for the rest of the season? As news emerged that West ham's european dream might still be alive - by virtue of topping the Premiership fair play league - the focus has turned to which players accumulate the most cautions. Unfortunately, this will be bad news for those Hammers who attract most yellow card cautions, with ace defender Winston Reid topping the list with a whopping eight yellow cards accrued this season. With Burnley breathing down our necks on the fair play league there seems little option other than to rest the Kiwi warrior for fear his disciplinary record might drag us away from the current Europa league placing. Second worst offender is James Tomkins with six yellows, but his recent operation will limit the fair play damage he can contribute. Maybe its time to give one of the Reece's a run in the first team? Shud be playing the kids anyway now we are safe. Reid is good soccer ball player. When he plays I poo my nappy in excitement. Are you my daddy?